Rockmount have used a successful phonics programme for a number of years called Read, Write inc. Children are taught the letter sounds or phonemes through daily practice. They learn to respond speedily to matching the correct sound to grapheme. Very quickly, children begin to blend the sounds together to read simple words. 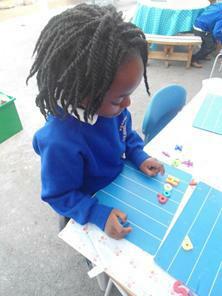 As their phonic knowledge grows, children start to use a range of strategies to decode unfamiliar words. Alongside the teaching of phonics, children are taught to read by sight the common high frequency words. This combination has proved to be successful in the teaching of reading in the early years. As children make progress and are reading sentences fluently, they begin to use punctuation in the text to help them read with expression and intonation. This in turn helps the reader understand the meaning more fully. By now, children are using a range of strategies to decode unfamiliar words and begin to self-correct when they stumble over a tricky word. As children develop in their reading, the emphasis changes from learning to read to reading to learn, where the balance of word recognition and language comprehension changes. Language comprehension will be developing alongside the growing skills of word recognition. Children love stories and becoming very familiar with key stories, fairy stories and traditional tales is a valuable part of learning to read. Retelling these familiar stories really helps children’s confidence. They learn predictive skills and are able to discuss the characters and main events of the story. The repetitive phrases in these books allow the children to join in and learn the book off by heart. 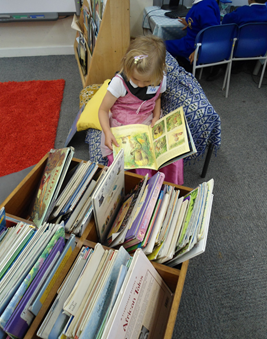 At school, we read and re-read these books as well as a wide range of rhymes, poetry, stories and non-fiction. Children learn to talk with confidence about the characters in a story, or the main events, for example. As children develop, they begin to express their own preferences and opinions showing a deeper understanding of narrative. They begin to ’read between the lines’ to answer questions, showing empathy for characters and are able to refer to specific parts of a text. At Rockmount School, reading is successful because of the strong partnership between home and school. The support of parents is so important in making time to listen to children read every day. Reading aloud to children, both at school and at home, is critically important in developing language and thinking skills. Above all, enjoyment of books fosters imagination and a wider understanding of the world. At Rockmount every child from Year 2 to Year 4 starts the day with a 25 minute guided reading session. Guided reading gives the teacher and teaching assistant a chance to work closely with small groups of pupils who should be at a similar stage in their reading. Texts are carefully chosen and may be selected to support a topic or assessment focus and to enable challenging and in-depth discussion. Children are told their reading targets and are expected to read at home every day and to comment in their home/school reading contact books. 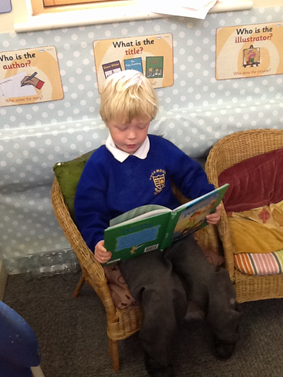 In Years 5 and 6 the children experience whole class reading. 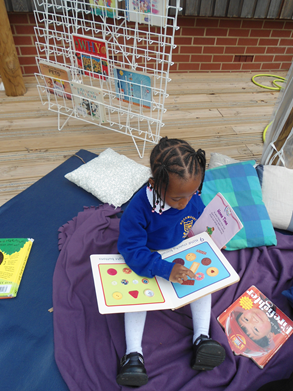 When reading, the teacher is modelling good use of intonation, volume and expression which the children will pick up on and eventually start to emulate in their own performances. Whole class reading sessions mean that children of all attainment bands are immersed in the same high-quality literature and the discussions that these texts promote. Teachers use targeted and open-ended questioning to engage and assess the children at different stages in the book. Following the session, children complete a follow up task reflecting on what they have read. Teachers then have the opportunity to assess individual understanding of a text.